Frank Pressley was his instructor at Douglas. He had Basic at Cochran, GA and graduated from Moody Field, GA. S/N O-840331. He instructed in B-25’ s at Moody Field. Then ferried surplus aircraft from Georgia to California. Next he was in the 1st Troop Carrier at Austin TX. He had 4 years in the Service. 2nd Lt.
Frank Pressley and Orville Pierce were his instructors at Douglas. He had Basic at Cochran Field, GA and graduated from Moody Field, GA. S/N: T-68141. 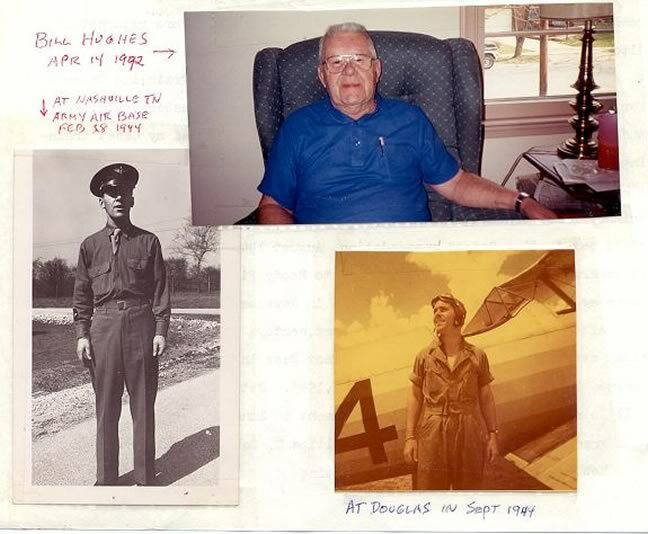 He was flying B-25’ s. They were about to be shipped over seas when the Bomb was dropped. They stayed in the U.S.A. He stayed in the Reserve for 6 to 8 years. 1st Lt. 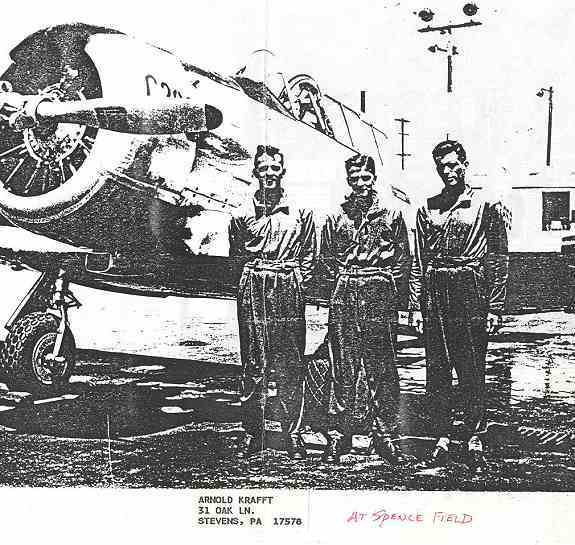 He graduated at Moody Field (S/N: O-840337) and was attending the Emergency Rescue School for B-17 Dumbo crews at Keesler Field when on December 17, 1945, he was killed in a flying accident. He had Basic at Macon, Ga and graduated from Moody Field, GA. He taught at Moody for a time, then served in the Pacific including the Philippines & Okinawa, flying C-46’s. 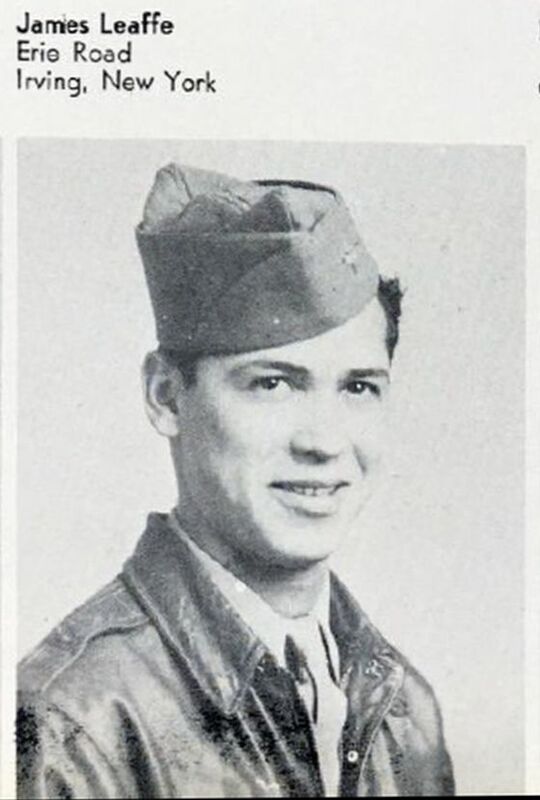 1st Lt.
Born April 17, 1913, in Peoria, IL. Died June 3, 1996 in Peoria. Student Officer: 1st Lt. He graduated with the Bombardier Class of 45-13 at Childress AAFd, May 17, 1945. 2LT, Capt at time of his death. Of Las Cruces, NM at time of his death. Graduate of Class 45A at Columbus AAFd S/N: O-841546. From what is probably his obituary [Philadelphia Daily News (PA) – Monday, February 24, 1986]: “A World War II veteran, Dougherty was a 1939 graduate of Upper Darby High School and enlisted in 1942. He earned his wings the following year. In his first combat assignment, he ferried supplies and personnel to U.S. and British troops fighting on the border of Burma. Retired as Air Force colonel. Died Feb. 20, 1986, age 65. Chris graduated from Moody Field, GA. S/N: T-68172. He then flew gunnery students at Buckingham Field till the war was over. He was discharged as a F.O. He graduated in the Bombardier Class of 45-17 at Childress AAFd, June 13, 1945. He had basic at Cochran Field, GA and graduated from Spence Field, GA. S/N: O-840489. After the war he became an Airline Pilot. 2nd Lt. He had Basic at Cochran Field, GA and graduated from Moody Field, GA. S/N: O-840370. He was then a flight instructor and spent about 8 years in the Service. Capt. John Siegman was his Instructor at Douglas. Click here for a group picture. He was awarded “Most Outstanding Cadet” commendation. He had Basic at Cochran, GA and washed out of Advanced at Moody Fld, GA. However, he became an officer S/N: O-840445 from Special Orders. John Siegman was his instructor. Click here for a group picture. He had Basic at Macon, GA graduated from Spence Field, GA. S/N: O-840504. He spent 6 years in Active Duty and 28 years in the National Guard. Lt. Col. 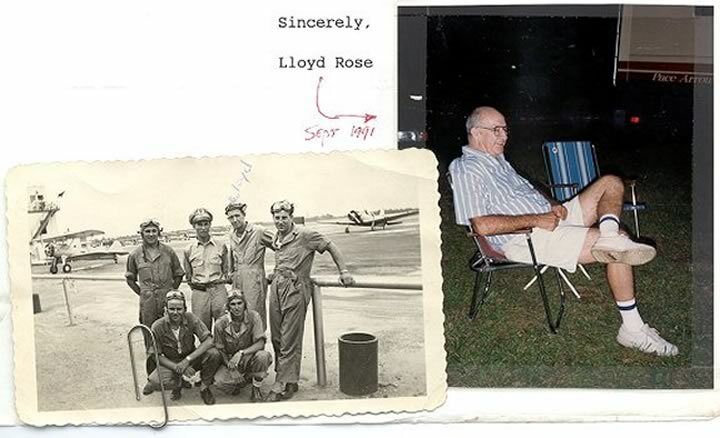 He was sent to a B-29 Flight Engineering School. He then instructed B-29 flight engineering until he was discharged. 2nd Lt.
Ken Landis was his Instructor. He had Basic at Macon. He graduated from Spence Field, GA as F.O. S/N: T-68275. His Instructor was Robert Rainey. He washed out in Basic at Macon, Ga. Went to Navigation School and Bombing and Radar. He was trained to be a navigator at Ellington Field located near Houston with the Class of 45-04N on or about the 27th of January 1945. Retired as a Lt. Colonel. He later served in the US Air Force Reserves for 32 years. Herman retired in 1975 as a Master Navigator. During the course of his military life he travelled the world and visited scores of countries, including serving on active duty during the Bay of Pigs and Vietnam conflicts. Born November 9, 1923. Died April 16, 2017 in LaQuinta, Calif.
Melvin washed out in Basic at Cochran Field, GA. He then became a Bombardier. The war ended just a week or two prior to getting a commission and it was never issued to him. Born Aug. 16, 1924, in Washington, D.C.
Died Jan. 10, 2009 in MD. He graduated at Moody Field (S/N: O-840401) 2LT and was a B-17 pilot with the 452nd Bomb Group flying his missions from England. S/N: O-933286. He was a bombardier with the 319th BG 439th BS after it had moved to the Pacific Theater. Lillich was his instructor. He had Basic at Macon, GA. He was delayed and graduated with class 45A. 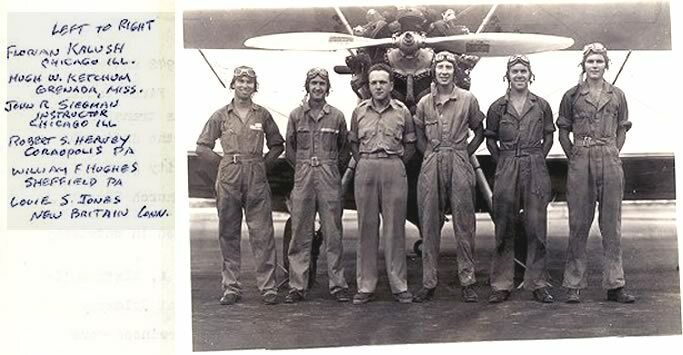 Joseph graduated and flew during WWII. John Sineath was his instructor at Douglas. He was a student officer: 2nd Lt. He had 50 missions in Korea, flying F-80’s in the 49th Fighter Group. Received the Silver Star, 4 Air Medals and the D. F. C. He retired as Lt. Col. in 1973. He graduated at Moody Field (S/N: O-840413) 2LT. From his obituary [Fort Worth Star-Telegram (TX) – Sunday, December 30, 2012]: “He entered the United States Air Force and was a pilot for 25 years, during which he received a bachelor’s degree from the University of New Mexico in electrical engineering. He served a tour in the Korean War and also served a tour in Guam. He retired from the Air Force as a lieutenant colonel. Died Dec. 27, 2012 in Arlington, TX. Phyllis “Penny” Fincher Smith, wife. From his obituary [Syracuse Herald-Journal (NY) – Thursday, May 20, 1993]: “He was an Army Air Corps veteran of World War II. Died Jan. 2, 2008 age 84. From his obituary [Peoria Journal Star, The (IL) – Wednesday, April 12, 1995]: “A World War II Army Air Corps veteran, he was a member of Veterans of Foreign Wars Post 1232 in Pekin. Flew 62 missions. Received 2nd Air Medal, Distinguished Flying Cross, Soldiers Medal and the Silver Star with Oak Leaf Clusters. Has four Japanese Zeros to his credit as B-17 tail gunner.On February 8 1942, nine B-17E bombers departed Malang, Java to bomb a Japanese occupied airport at Kendari on the island of Celebes. While en route the formation was attacked by a swarm of Japanese fighters over the Java Sea and two planes were shot down. Wateski’s plane (B-17E #41-2483, nicknamed ‘Mormon Meteor’) was so badly damaged that it went out of control, falling 7,000 feet before the pilot was able to bring it under control. Unfortunately, by that point three crewmen had bailed out, believing the plane was not recoverable. Their bodies were never found. Obviously Wateski did not bail out and survived. He graduated at Moody Field (S/N: T-68224) Flight Officer. Died on August 25, 2005 in Louisiana, age 87. From his obituary [Anchorage Daily News (AK) – Thursday, May 31, 2007]: “Roscoe was born Jan. 7, 1923, in Nekoosa, Wis. He married Doris Swenson in 1943 while serving in the U.S. Army Air Corps during World War II. They moved to Nome in 1948 and Roscoe went back into the service during the Korean conflict before returning to Nome in 1953. There he served in the Alaska Territorial National Guard and was a deputy U.S. marshal. He graduated at Moody Field (S/N: O-840439) 2LT. May be the John A. Young on FindaGrave: Capt., WWII, Korea, Vietnam. Flew B-24 Liberator. Born Jan. 13, 1919, in Rices Landing, Pa. He had basic at Macon, GA.